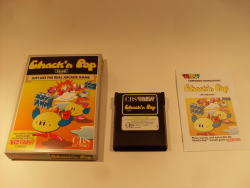 Here's 3 new games for your ColecoVision! 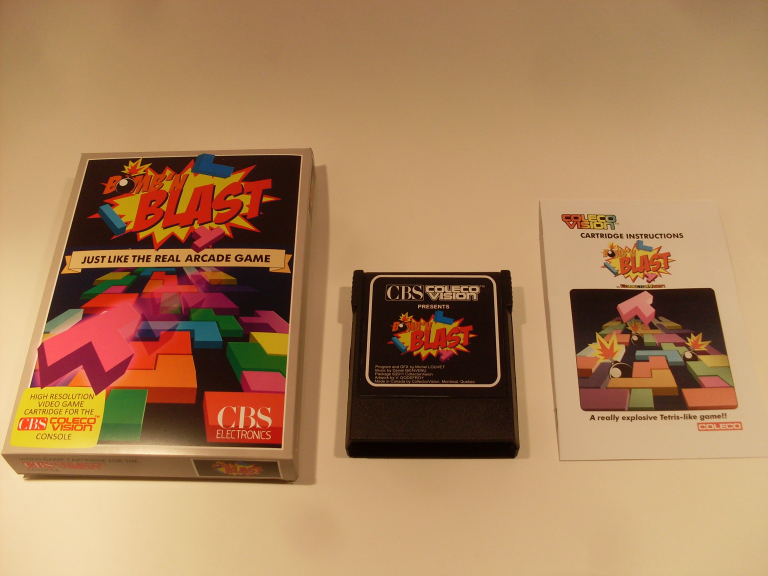 this is the prequel of Bubble Bobble, really lots of fun! How much for the lot? I'm interested in all three. Edited by retroillucid, Fri Oct 28, 2011 7:32 PM. Well put me down for all three. Zut alors, c'est tres super! Congrats on your new releases, retro! Hope people will enjoy those games as they are great games! I'm also happy to had Eduardo ported Chack n Pop for CollectorVision! That mean alot to me! Thanks Eduardo, you're the man! Michel did translated Ozma Wars with brillant gameplay, a tough game nonetheless! but alot challenging! Max did beg me to do that one, Max is annoying! just kidding! Max, stop begging us making games! 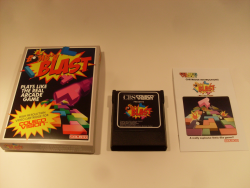 Bomb n Blast is simply amazing! Surpass Kevtris without any doubt! The gameplay is more polished than Kevtris and music? wow! 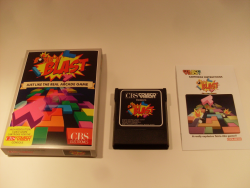 simply a blast! newcoleco did an awesome job (as usual) with music! Even the "fake bios" screen is wonderfull! a nice idea actually! This probably goes without saying J-F, but I'm in for all of them. Can we all get a game named after us? here's what I got from an online translator!? ?? Pouvons-nous tous faire nommer un jeu après nous ? Do you mean, can we all beg for making a game we want you to make? It's a joke... I mean, how come there's no game called "5-11under"? 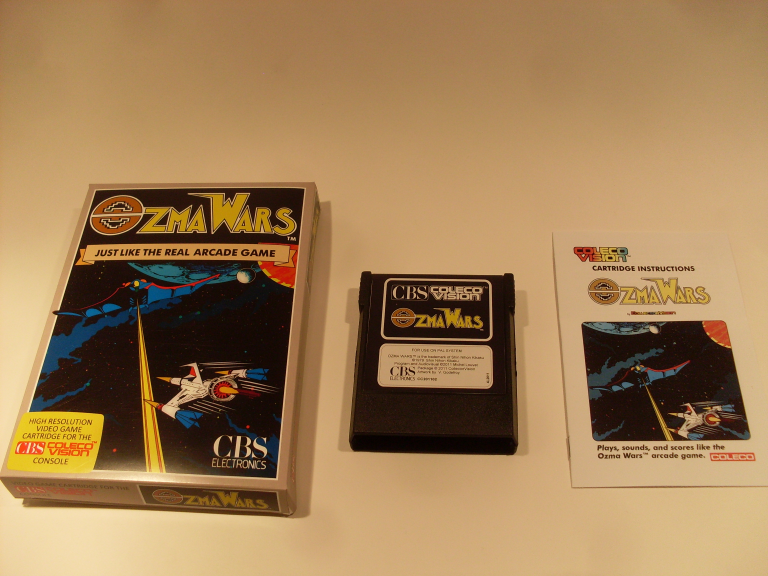 How can ozma wars (the person) be so lucky to have a game with his name, while the rest of don't. Maybe I should name my upcomming game Ninja Boy to Pixelboy ? Luc, what you think about it? Congrats on your lastest offerings to the CV Scene, Retroillucid. They all look AMAZING in completed form and adding the CBS variations is a really nice touch. Even though I really like the CBS box variations, I would prefer to receive the US style releases... is that an option that we can ask for or will it come down to luck of the draw? BTW, I had the wonderful opportunity to demo early W.I.P./Betas of each of these games at ADAMcon and was extremely impressed with all of them. I can't wait to see the finished products firsthand!!! PM sent for one of each!!!! I wish everybody who is behind these games, a big congratulations. I would like to order one each (3) in PAL format boxes. Actually, I had this idea for a Mega Man game for ColecoVision called Mega Man VR. The story: Mega Man gets infected with three computer viruses by Dr Wily, which render the Blue Bomber unconscious and will eventually cause a malfunction is his core reactor, which wil make him explode! Dr Light decides to download a software-only copy of Mega Man into Mega Man's body, to flush out the viruses and erradicate them. The viruses are Data Man, Bug Man and... Pixel Man! The homebrew Mega Man demo made for the Atari 2600 a while ago was a strong source of inspiration for me. 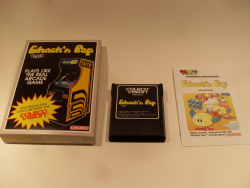 The idea is that a game set in virtual reality gives me a reason to have graphics that are simpler-looking than a NES Mega Man game (much closer to the Atari 2600 homebrew, actually), which in turn would facilitate the implementation of smooth horizontal scrolling. Mega Man VR would probably require a 128K MegaCart. Perhaps I could cram it in 64K, but I'd rather use a 128K cart, to have plenty of room for music and sound effects, and also lenghtier levels. Edited by Pixelboy, Sat Oct 29, 2011 4:56 AM. Thank you for three great looking games! I agree with NIAD and I'll take a copy of each US game. WooHoo and early Christmas! As always I will take all 3 and PM already sent. PM will be sent for Chack N Pop & Ozma Wars! At this rate, its going to be all sold-out in only a few days! Wow, I'm amazed, thanks for the support!